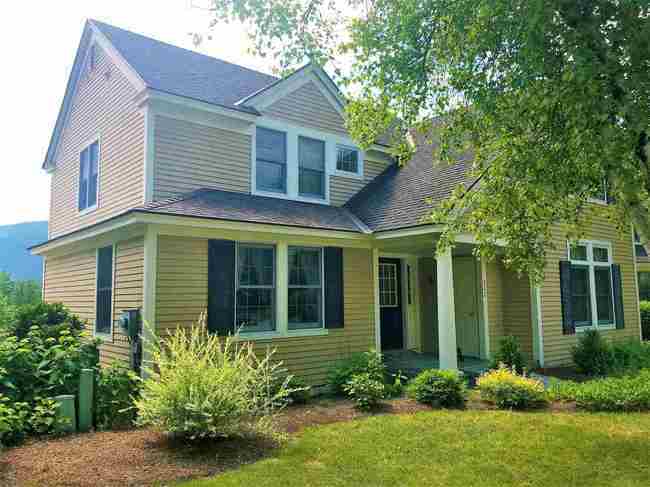 Manchester Rent | Josiah Allen Real Estate Southern Vermont's Leading Independent Brokerage. Since 1962. 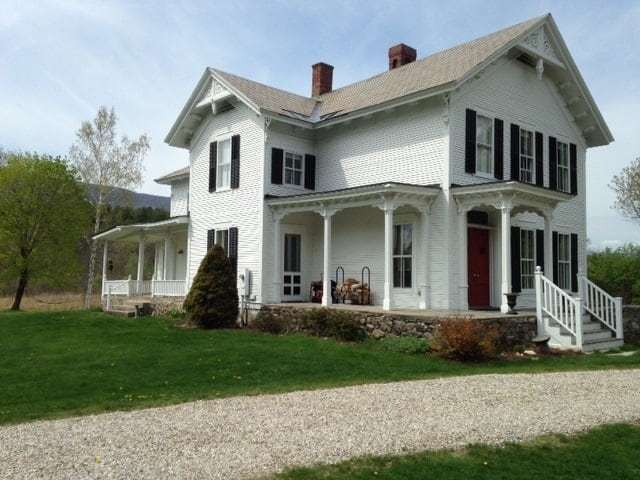 Search Manchester, VT for rental properties. Contact us to schedule a showing or if you have any questions. See something you like? Create an account to save favorite listings and to receive email notifications when similar listings become available. COMING SOON - exclusive seasonal or weekly rental! 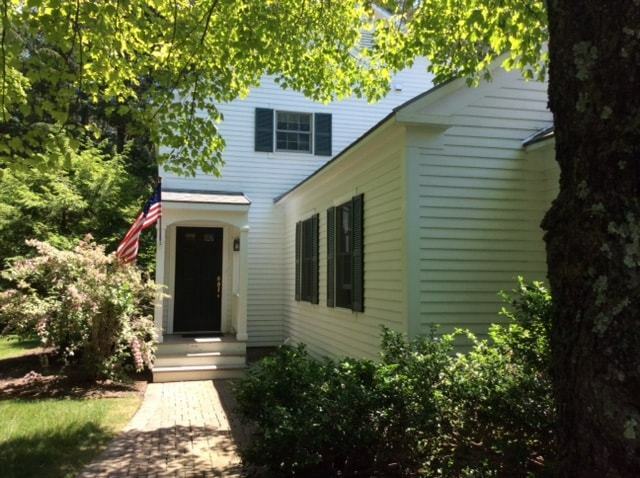 Manchester Center, private and oh, so close to town! 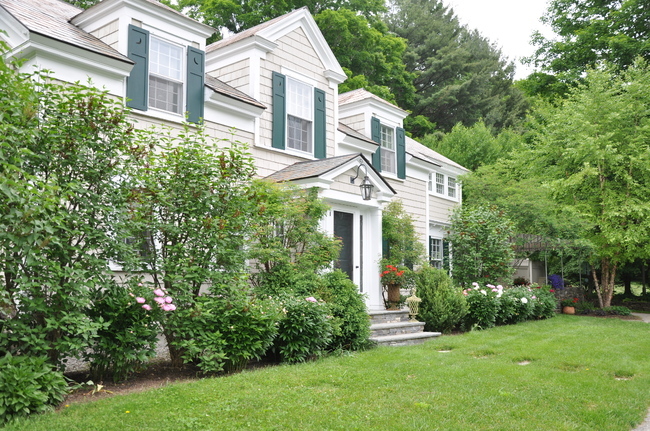 Lovely colonial, sleeps 12 ! Modern kitchen, dining room, living room with gorgeous stone fireplace, master bedroom and bath on the 1st floor, ( 2.5 bath total ) lovely outdoor spaces, and finished basement/great rooms for movies, games, etc. Photos to follow! Stay tuned! Manchester Village Family Home - Wonderful Location! This is a lovely, large home in the heart of Manchester Village - convenient to shopping, restaurants, hiking, skiing, golfing and much more! Located on a country road in a private community on 2 acres with a pond and a cascading stream. Bright and light, this 4 bedroom, 3 bathroom home sleeps a family of 11 comfortably. The spacious Master Bedroom en suite is conveniently located on the main level. Entertain in the vaulted living room with the gorgeous stone floor-to-ceiling fireplace or relax and take in the views from the screened in sunroom. Desired chef’s kitchen, central air conditioning, full-size washer and dryer, WiFi and 2 car garage complete the picture. Weekly and monthly rates - please inquire about price and availability. Come make your memories - this is not to be missed! Equinox on the Battenkill - Wonderful 4 Bedroom Family Condo - Views! This is a spacious, light and bright beautiful 4 bedroom, 3 bath condo sits high with breathtaking views of the Green Mountains. Open main level living with updated kitchen - maple cabinets, stainless steel appliances and cherry flooring in both the kitchen and dining area. Relax in front of the wood burning fireplace. Upper level has a master bedroom ( king), guest bedroom ( 2 twins) and a shared master bath. 2 additional bedrooms with queen, and a two sets of bunk beds - home sleeps 10. Lower level family with TV, washer and dryer, walks out to a well manicured lawn. 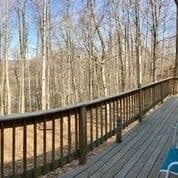 Two tiered deck on the other levels for entertaining or just enjoying the view. Central A/C for maximum comfort in the warmer months. $5000.00/ monthly, plus some utilities. Please inquire about availability and holiday monthly rates. 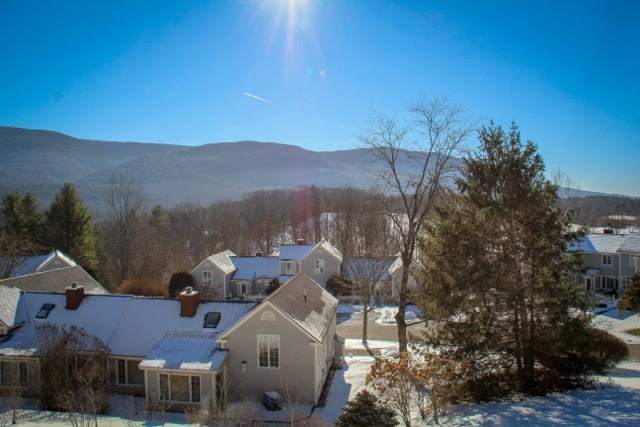 Tremendous views of the Green Mountains from this 5 bedroom, 5 bath single family home in the Village at Ormsby Hill HOA. Vaulted ceilings, two stories of beautifully crafted windows and fireplace provide a dramatic and warm effect to the great room. Natural light just pours in! Breakfast nook in the kitchen with sliders to the deck overlooking the spring fed pond. Formal dining room for your gatherings just off the foyer and a large, private master bedroom suite, handicapped accessible rounds out the first floor. Open staircase to the second floor where you will find two additional bright and sunny bedrooms each with their own private bathrooms. The lower level family room offers a second fireplace with double French doors to the backyard. Two additional bedrooms downstairs each with their own bathrooms, plus additional storage. Bed arrangement are as follows: 2 King, 1 Queen, 4 Twin. Central air conditioning, security system, all of the comforts of home. $6500/month plus utilities. Available December 2018 to May 2019. Please inquire about long term availability and rates. Large Dwelling in Manchester Village - Perfect for a family/organization that needs lots of space! 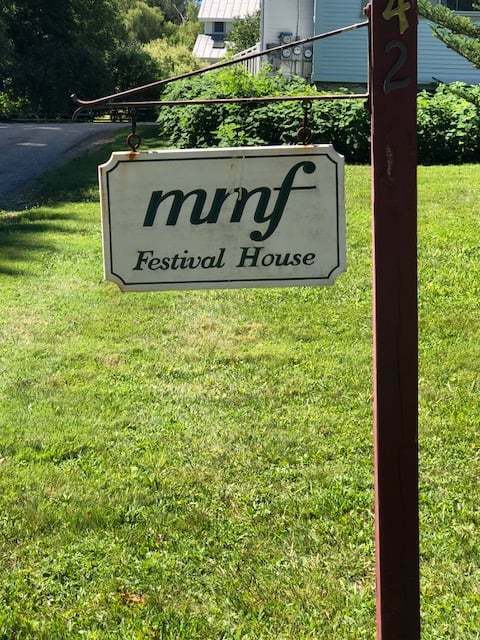 The Manchester Music Festival House is located in the heart of the Village, an easy walk to Burr & Burton, the Equinox, and other Manchester amenities. First floor has a large kitchen, with french doors that lead to a sun drenched living room with fireplace - also an office, large bedroom, and full bath with washer and dryer. Two separate staircases lead to the second floor - 1st staircase off of kitchen goes to 2 bedrooms ( one with a study nook), reading nook, storage closets, and full bath. 2nd staircase leads to very large bedroom and full bath. Lovely, bright yard with plantings, patio off of the living room, and open lawn area for outdoor games. Available August 15th, 2018 to June 15th, 2019. $2850 plus utilities. $2850 - 1st, last, security. Come home to this lovingly restored Village home - mudroom entry, gourmet chef's kitchen with center island, dining room, living room with fireplace, first floor master suite with luxury bath - french doors in master bedroom lead to a soothing koi pond and stone patio surrounded by mature perennial plantings. Second floor has bedroom, full bath, office, and study/library with sleeping capacity. Bonus family room above garage with full bath. Numerous seating areas throughout the property for reading, relaxing, and cocktails! Home has been artfully decorated with treasures from the homeowner's travels around the country. Long or Short Term, please inquire for availability and pricing. 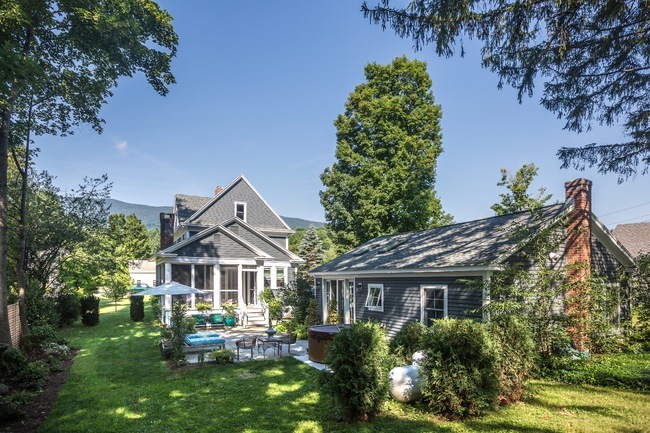 This Greek Revival farmhouse nestled on 21 acres provides magnificent views including sunsets over Equinox Mountain. 10 foot ceilings, hardwood flooring, eat in kitchen with back staircase, fully updated appliances, marble counters, and more! Custom built entertainment center, 9 foot mantled fireplace, claw foot tub adds to the warmth and charm of this home. 4 bedrooms, 4 bath, additional sleeping opportunities with pull out sofas can accommodate a total of 12 guests. Garage space available. Just a short drive to Bromley Mountain ( 10 minutes) and convenient to Stratton as well. Don't miss this wonderful vacation opportunity. Please check for availability and weekly/monthly rates. 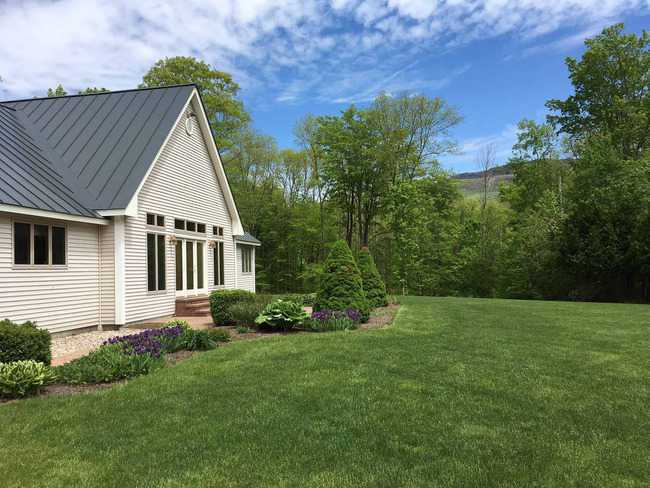 This lovely 3 bedroom, 2.5 bath home has beautiful views and borders the historic Hildene property in Manchester Village. Convenient to all amenities, yet private with access to lovely walking and cross country skiing trails. Updated kitchen with stainless steel appliances. Living Room with gas fireplace, and a wonderful screened in porch to enjoy your coffee in the morning and cocktail any time of day! Covered brick patio to enjoy in the warmer months as well. Upstairs master bedroom with king size bed, 2nd bedroom with one queen and one twin, 3rd bedroom with bunk beds for the grand kids! 2 car garage. $3500.00 monthly rate Summer 2019, month minimum. Please inquire for price and details. Security deposit ( refundable) required, cleaning fee, and utilities are not included. This lovely 3 bedroom, 2.5 bath condominium is located conveniently in Manchester, within walking distance to shops and restaurants. Wood burning fireplace, fully renovated kitchen with stainless steel appliances, wood floors in the main living area, fully furnished with a bonus sleeping loft for 2. $3200 per month for summer seasonal, plus utilities. For short term rentals please call for rates.